American Office invites you to stop by our S.11th location containing many benefits for those looking for new and pre-owned office solutions. Stop in to choose your color and size. 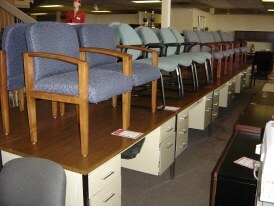 We stock an estimated 3000 executive chairs in our warehouse. Our selection has new as well as pre-owned to choose from. 2 ,4, 5 drawer vertical files. 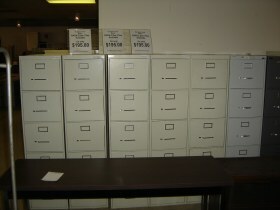 fire files, and flat files are all in stock. Modular stations created for your area.